Mike and his wife, LeeAnn have been married since 2006. Together, they have 4 children that are healthy, happy, and full of energy. A devoted husband and dad, he loves supporting their many activities, including soccer, basketball, swimming and piano. After returning from his volunteer mission in Portugal/Cape Verde in 2001, he remains very involved with his local ward through various service opportunities. Born and raised in Utah, Mike enjoys all sports and the outdoors. 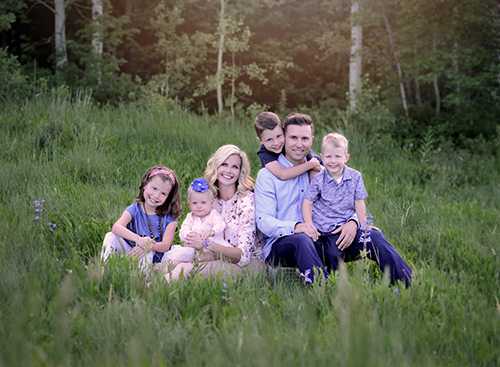 He played soccer at Weber State and was part of their 2002 national club championship team. When he is not injured, Mike also enjoys skiing, trail running and half marathons. Northwestern Mutual is the marketing name for The Northwestern Mutual Life Insurance Company, Milwaukee, WI (NM) (life and disability insurance, annuities, and life insurance with long-term care benefits) and its subsidiaries. Michael J Craythorne is a District Agent of NM and Northwestern Long Term Care Insurance Company, Milwaukee, WI, (long-term care insurance) a subsidiary of NM, and a Registered Representative of Northwestern Mutual Investment Services, LLC (NMIS) (securities), a subsidiary of NM, broker-dealer, registered investment adviser and member FINRA (www.finra.org) and SIPC (www.sipc.org). Michael J Craythorne is primarily licensed in Utah and may be licensed in other states.